There is an ever-growing need to provide high speed IP bandwidth in mobile applications. 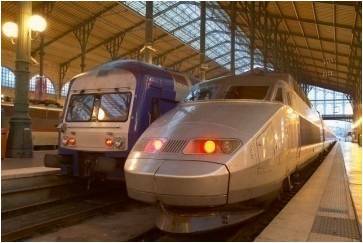 One of the greatest challenges is how to deliver broadband connectivity to moving objects, whether it be passenger or commercial rail, vehicles, watercraft, or unmanned moving objects. Since there is no way to physically cable a moving object, wireless connectivity is the solution. Wireless mobility can provide IP bandwidth that can be used for video surveillance backhaul, vehicle and sensor monitoring, remote vehicle control, on board Wi-Fi, computer connectivity, Smart devices like phones and tablets, voice communications, vehicle location tracking, transportation management, or public announcement systems. Different wireless technologies can be used for mobility applications, such as: wireless mesh radios, point to multipoint wireless backhaul, WiMax, LTE, and radios designed for mobility handoff. There are a lot of wireless manufactures that claim to have broadband radio systems that can provide wireless mobility. Using the right radio equipment is important for the needs of the application. Some applications need extremely low latency while others are more concerned with the amount of bandwidth provided. The main question is what is the mobility application? Many industries, like utilities (water, oil & gas, and electrical), government (city and county), first responder (law enforcement and fire), etc. all have needs for mobility applications beyond two-way radio and cellular connectivity. Is there a need for IP network connectivity back to the organizations data network and need for Internet connectivity? The problem with using cellular LTE is the reoccurring costs and having to manage so many plans. There is also no control over how employees are using the consumed data amounts on the plans. Security is also a huge issue when using public networks versus being able to control a private network that has no other access outside the organization. In may cases organizations want to have both fixed and mobile applications, like a utility or city that needs to have bandwidth at fixed locations around a geographic area but also want the ability to have bandwidth in their vehicles. 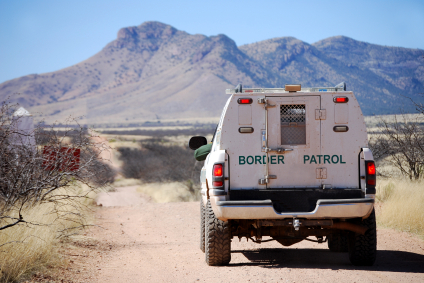 There is a huge cost savings by having the ability for employees to be able to be connected to the home office while traveling around a service area rather than having to drive back and forth to get information. This can be getting email in the field, being able to pull work orders, upload video or pictures, get access to site plans, and so on. Applications that have needs for both fixed and mobility can benefit from using technologies like private LTE or licensed WiMax technologies. These technologies allow for 360-degree coverage capability with a reach upwards of 20 miles around a geographic area. Bandwidth can reach up to 40+Mbps. There are some great radio systems now that can connect to a private LTE/WiMax network and can also if need be roam onto existing cellular networks as they roam outside a good coverage area. These systems can also provide in-vehicle Wi-Fi providing connectivity to laptops, tablets, and smart phones. The unique technical challenge is providing seamless hand off as a moving object passes wireless backhaul node locations. There needs to be seamless handoff at low latency so that data connectivity isn’t interrupted. This is just like the use of cellular networks that provide connectivity with out drops as you are traveling down the road in a car and talking on the phone. The key elements in a successful wireless mobility solution are proper wireless network design, accurate wireless path engineering, wireless spectrum analysis to determine appropriate frequency utilization, hardware choice and configuration, and most importantly is the quality of wireless installation. As part of the US Government Shut Down, the FCC has shut down its operations. The shut down of the FCC stops all functions to include the processing of new licensed microwave backhaul or other point to point wireless backhaul governed by the FCC and any renewal of existing licensed wireless backhauls that are expiring. The FCC took time to shutdown their web site not allowing anyone to view their current FCC licensed wireless networks, to view any open applications, file any new or renewal applications, or to even do any research at all about wireless communications (which includes both licensed microwave and rules on unlicensed wireless backhaul). The only exception according to the FCC website is limited to immediate actions that involve safety of life or the protection of property. So what happens to the wireless industry that is in full swing with the growth of LTE, WiMax backhaul, and both public and private outdoor licensed wireless backhaul? Work already under way will still continue but no new projects that entail the use of new licensed point to point wireless backhaul, licensed WiMax, Two-Way radio, or other licensed microwave wireless communications can move forward with wireless installation until the FCC reopens and starts processing new and current licensed wireless applications. The bigger question is when they finally do return to work how much backlog will there be and how long will it take to get back on track? The shut down and the inability to even do frequency coordination searches affect the entire population. Wireless backhaul is used for point to point wireless backhaul, including unlicensed wireless Ethernet bridges and licensed microwave backhaul, and point to multipoint systems, such as: LTE and WiMax backhaul. It also effect public safety for first responders with the use of two-way radio communications. Basically all new wireless network installations that require a licensed frequency have come to a halt. Without wireless backhaul outdoor wireless networks that require either serial or Ethernet connectivity and bandwidth are not there. Wireless backhaul is used by all sorts of organizations and in all vertical markets for providing necessary serial and IP bandwidth in backhaul and last mile wireless applications. 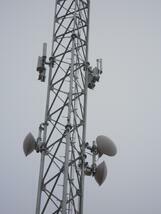 Many wireless backhaul networks use licensed microwave or other point to point wireless links. Licensed microwave backhaul is a popular choice for creating reliable wireless over unlicensed point to point wireless Ehternet bridge solutions due to potential wireless interference (see: http://www.aowireless.com/blog/bid/42478/Understanding-Microwave-Communication-Frequencies, http://www.aowireless.com/blog/bid/38494/Licensed-Microwave-Wireless-Backhaul, and http://www.aowireless.com/blog/bid/38658/Wireless-Interference-The-Effect-on-Unlicensed-Wireless-Backhaul for further information). Government agencies, schools and other education facilities, healthcare, utilities, agricultural, both private and public enterprise, etc. all use wireless backhaul all the time. Many use outdoor wireless bridges for data and voice networks. Utilities use wireless backhaul both unlicensed wireless Ethernet bridges and licensed microwave point to point wireless backhaul for SCADA telemetry and Smart Grid applications (see: http://www.aowireless.com/blog/bid/92811/Wireless-Backhaul-for-the-Smart-Grid). Healthcare uses outdoor wireless as much as they use indoor wireless, like Wi-Fi, to provide critical networks between facilities. 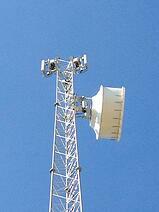 Wireless backhaul is also used for video surveillance applications for public safety and physical security. When the FCC stops the progression of the build out of licensed wireless networks the ability to provide high-speed wireless connectivity stops. Not only does the shutdown impact the wireless installation of new backhaul networks but here is also a financial impact to all those that work in the wireless installation industry. This includes hundreds of manufactures, value added resellers, tower construction companies and tower climbers, and wireless integration companies. Many of which are small businesses. How much financial impact does it cause on a small business that performs wireless sales and wireless installation? It can be hundreds of thousands of dollars a week. The financial and production impact to the end users of the wireless backhaul networks can be in the millions of dollars. Once the FCC reopens for business there will be a massive amount of backlog applications for wireless spectrum that will need to be caught up. Prior to the shutdown the FCC has been doing a good job of processing applications as fast as possible. But with the backlog they will be facing it can delay applications and processing months. Meanwhile the wireless installation industry has to delay projects. Wireless integrators and installers and wireless manufacturers will also have to shift gears in to high-speed mode to get their projects back on track. There is a lot of talk about the push and mandates about modernizing and moving our electrical system to the Smart Grid. The electrical grid in the USA is out of date and doesn’t allow for the use of modern technology to provide more efficient and cost effective power generation, delivery, and consumption of electrical energy. The goal of modernizing our electrical grid by using current technologies is to provide more reliable distribution, improve fault detection and allow self-healing of the network without the intervention of technicians, create greater efficiencies in monitoring and load adjustments based on peak using times and locations, provide greater security to the grid, and to empower the consumer to be able to better manage their usage and costs. 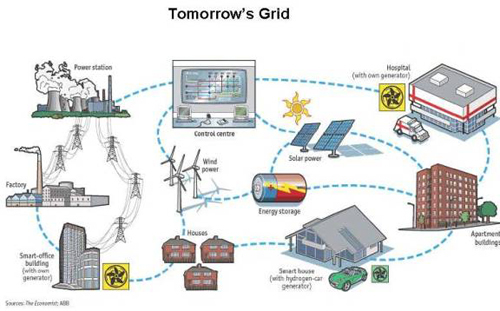 To make the Smart Grid a reality the implementation of modern communication technology needs to be deployed. Technologies such as, smart meters, intelligent thermostats and appliances, real time sensor metering and controls, and remote monitoring all require the use of reliable IP based communication infrastructure networks. The problem is electrical utility organizations’ electrical network (substations and end consumers) covers vast geographic areas. Many of which are not always near readily available fiber connectivity. This is especially true in rural areas. Even in urban areas there is sometimes difficulty in last mile connections where needed. In order to build out the Smart Grid wireless backhaul plays a vital role and solves many problems by providing necessary high-speed bandwidth for the use of Smart Grid technologies. By the utilities using wireless Ethernet bridge technologies the utilities gain greater security by having a private network, they can also build in wireless redundancy for greater reliability, have quicker implementation time, realize huge cost savings, provide their workforce with wireless mobility, and have the flexibility for future expansion and growth. Since the utilities have right-a-way access and easements it becomes easy for them to build out a wireless backhaul network using point to point wireless bridges. Fiber equivalent networks can be achieved with licensed microwave backhaul (see more at “Understanding Microwave Communication Frequencies and Point to Point Wireless Bridge Compared to Fiber”). Today a licensed microwave link can provide 6Gbps+ full duplex wireless connectivity. Using a wireless repeater can allow for long distance wireless backhaul. A typical microwave link can be deployed beyond 20 to 30 miles in a single point to point wireless bridge. With a core high bandwidth microwave backhaul infrastructure, the use of high speed point to multipoint wireless can be deployed for last mile wireless connectivity. 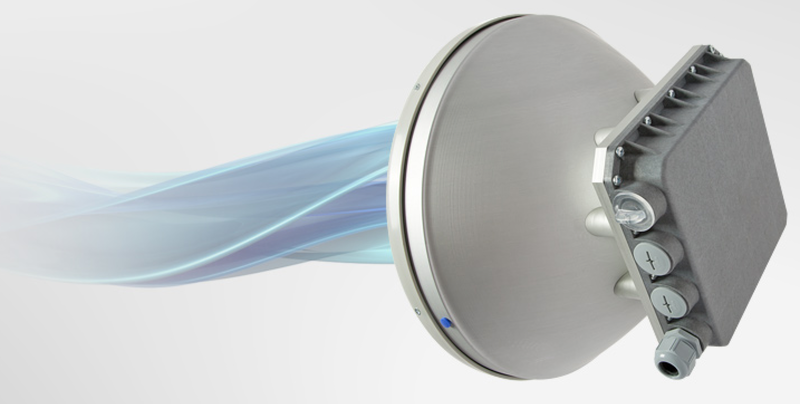 Technologies like WiMax backhaul and LTE allow for licensed interference free point to multipoint wireless bridge connections. True usable IP bandwidth of 10Mbps to 100Mbps can be delivered to the field using point to multipoint wireless Ethernet bridge systems. Wireless Mobility can bring high-speed data connections to workforce vehicles allowing for remote access of data files, email, work orders, and VoIP. 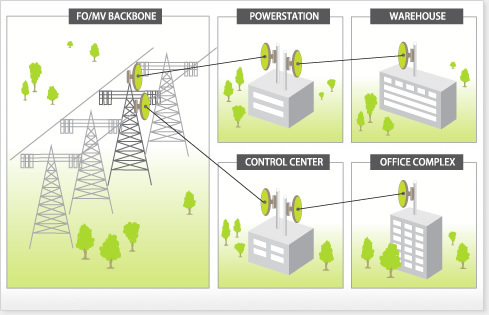 Bringing wireless Ethernet connectivity to the grid and to substations provides the ability to not only perform RTU / PLC monitoring and management, but also opens the way for wireless video surveillance and perimeter security, access control, alarm monitoring, remote workforce capability and access, and real time data collection. Most of all, wireless backhaul allows the integration of other third party Smart Grid devices like Smart Meters, remote switching, and SCADA. Wireless Ethernet bridges bring the necessary infrastructure to Smart Grid technology. The main issue is that electrical organizations are really good at power generation and delivery, but they are not necessarily experts in telecommunications. It’s not best practices for them to build the internal expertise to build or maintain a large complex wireless backhaul network. Recently attending a Smart Grid conference it became apparent that many electrical organizations have relied on manufacture vendors, whose only goal is to move their product, to guide and influence the type of wireless hardware and wireless network topology they are trying to use for their telecommunications infrastructure. This becomes very problematic when it comes to the quality of RF (radio frequency) devices being used and the overall wireless network design. In order to provide a long-term, reliable, interference free, and scalable wireless infrastructure it is important to use best of breed, carrier grade infrastructure, along with the use of proper frequency spectrum. Also from a security standpoint the proper wireless devices should be used and configured properly. It’s amazing to see how many electrical organizations have deployed value line, Wi-Fi chipset based, unlicensed wireless Ethernet bridges using 900MHz, 2.4GHz, 4.9GHz, and 5.8GHz for their mission critical network. Many of these systems only have a five year mean to failure time rating and are easily effected by wireless interference. These systems are in themselves not bad or lack some quality, but they fit where they fit and the Smart Grid infrastructure may not be the best use of these unlicensed wireless Ethernet bridge systems. Electrical utilities have a lot of licensed microwave spectrum available for their use for free or at a very low cost basis. On the flip side many microwave radio systems are built for true full duplex operations, operate at the lowest possible latency, run interference free, and are built for a 20+year life cycle. There is also hardened point to multipoint wireless systems and SCADA telemetry radios designed for EMI protection precisely for use around high voltage applications. As with any technology there is value level and enterprise level equipment and software. For mission critical wireless networks there is a large distinction between the quality, performance, and reliability of the two. Smart Grid implementers need to receive more education and proper knowledge transfer from the wireless backhaul industry so that the right business choices can be made on behalf of the country’s critical electrical infrastructure and ultimately the end consumer. When we think of wireless backhaul and microwave communications we typically think of a point to point wireless bridge that is from communication tower to another tower or building rooftop to another building rooftop. In most all cases for wireless point to point microwave backhaul to work there needs to be line of sight (“LOS”) from one antenna to the other. Some other important factors for a point to point wireless bridge to function correctly is to have proper Fresnel Zone clearance and calculated system gain. In order to make sure a wireless point to point link, whether you are talking about a licensed microwave backhaul or a 5GHz unlicensed point to point wireless Ethernet bridge, will function properly and have predictable reliability a proper wireless network design and path calculation needs to be performed. By performing a quality (radio frequency) RF path calculation we can determine the Free Space Path Loss and overall wireless system gain based on a particular wireless radio system’s receiver sensitivity threshold. This helps determine frequencies that can be used, output power, RSL (received signal level), polarizations, antenna sizes, and antenna heights. The other factor in designing a point to point wireless bridge is to take into account the signal to noise ratio (the incoming signal quality level over any external frequency noise / interference). With a typical outdoor point to point wireless link it is easy for a wireless installation company to perform all the necessary path calculations and engineering to design a wireless point to point link with 99.999% predictable reliability (<5min of predictable outage a year). But what happens if you don’t have roof rights access to do a wireless installation on the building’s roof or there is no way to cable from the network room / IDF to the roof? Yet from the building’s window you can look out and see the other end clear as day with good LOS. This happens in the enterprise world where a company may occupy a certain floor of a high rise but can’t get roof right access either because of physical challenges or lease contract issues. Why not just put the antenna behind one of the windows? Shooting a point to point wireless backhaul through glass is not as easy as it may seem. Wireless bridges are in essence sound waves that operate in frequencies that humans can’t obviously hear. Most all glass used in building construction have some sort of sound attenuation (whether just buy the materials in the glass or on purpose to block out outside sound). In the past most glass windows had lead or other metallic compounds in them. Newer windows use a special sound attenuation film to make the inside more quite. Sometimes this glass also uses special films for polarization to block sun glare. This attenuation causes the signal quality of the point to point wireless system to be degraded in the form of signal loss. Windows can also have a reflective property that can cause the wireless bridge to bounce the TX (transmit) signal back into itself causing self-interference and distortion on the radio system. When this happens we see a lot of errors on the network as BER (Bit Error Ratio), Jitter, and CRC errors. This can also over time damage the wireless point to point radio end. So can it be done? Yes! Over the years we have successfully done wireless installations from behind glass and recently did a critical point to point wireless backhaul at SXSW for a major video streaming event. How did we do it? First we took into account all the possible issues as mentioned above. The first step was to calculate the link budget by doing a detailed path calculation by building in the possible loss due to the attenuation of the glass. Because the link had to be installed using an unlicensed wireless Ethernet bridge we decided to use a MIMO (dual polarization radio that uses both vertical and horizontal polarized TX/RX signals). In the recent case the shot was very short (less than one mile) and the environmental noise in 5.8GHz was extremely high. We decided to use 5.3GHz band that operates in DFS (dynamic frequency selection – basically channel hopper) in the USA. Then comes the fun part of the installation. We had to play with the polarizations of each end’s antennas, adjust the power output levels on each side separately, and move the radio end behind the glass back and forth from the glass to find the optimum distance of the antenna from the glass. There are other radio specific settings that can be applied to help the radio from getting false radar detection (which is a requirement of the FCC that causes the radio to jump channels and lock out various frequencies if it sees a DFS channel signal from another source. This happens when the glass reflects its own signal back into itself out of phase. The system needs to be adjusted so that it doesn’t think its own signal is from another outside source. If the 5.8GHz bad was clean of outside interference you still need to adjust so that the radio doesn’t take on errors. At the end of the day putting one end of the wireless point to point system behind glass allowed over 100Mbps of bandwidth to be used for the event. Time and material costs were saved by not having to run fiber (due to the length of the cable run to the nearest IDF (network closet) to the roof along with power. It is not racommended to shoot point to point wireless through a glass window and it is always Best Practice to go from rooftop to rooftop, but sometimes its the only option. It takes a lot of planning and back and forth testing, but if the wireless installation is done properly shooting wireless backhaul through glass can work! 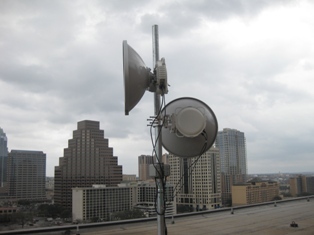 Wireless backhaul is used all over Austin during the SXSW event. In order to get Internet connectivity to major events and venues wireless bridges, in forms of point to point wireless bridge and point to multipoint wireless bridge technologies are used. At the events and venues Wi-Fi is also deployed to help provide wireless communications to enhance the user experience. At the SXSW 2013 (South by Southwest) Film and Music Festival tens of thousands of people from around the world swarm to Austin, TX to experience the latest in film, technology, gaming, and see the over 2000 bands that playing live at over 200 venues. The SXSW event merges film, music, and technology all in one place. Technology and social media are playing an even larger role at SXSW. Major technology, social media, and corporate giants like, Dell, Samsung, Google, Microsoft, AT&T, Yahoo, and others all have a presence and host amazing parties and events at SXSW. In years past, one of the biggest complaints was the lack of broadband connectivity, that's if you could get connected at all. With so many people in such a concentrated area many of the cellular networks get overloaded and come to a crawl. Add to the fact that there is now a 2 to 1 ratio of Wi-Fi enabled devices to people. Laptops, iPhones, iPads, and all the other smartphone devices were present everywhere. This year SXSW wants to make sure that they can enhance the attendees experience by bringing wireless bandwidth to the people. Plus all the major event hosts are using a large amount of wireless bandwidth for production and exhibit displays. 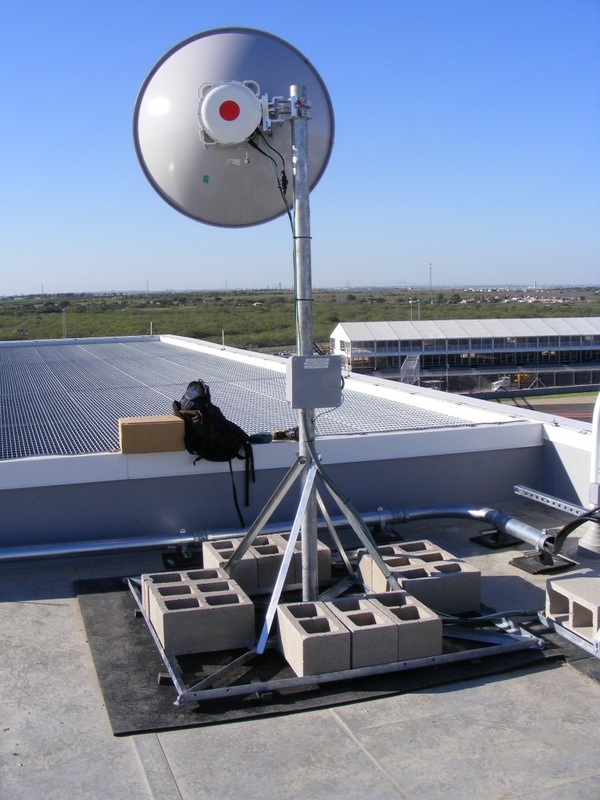 The wireless communication at SXSW is being done by deploying a GigE microwave backhaul from a major local telecommunication provider to the roof of a hotel close to all the action. That location acts as a wireless repeater. Multiple point to point wireless bridge links are used from the wireless repeater location to provide wireless connections from 400Mbps full duplex wireless connectivity to 100Mbps wireless bridges. 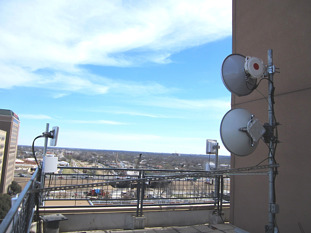 Also from the same roof top that the wireless point to point links are initiated, point to multipoint wireless systems are used to provide multiple wireless connections. The point to multipoint wireless bridge end nodes receive anywhere from 10Mbps up to 100Mbps of wireless bandwidth. In order to pull off having so much wireless frequency all over town coming from the wireless repeater site, multiple radio frequencies are used during the wireless network design and wireless installation. One of the largest challenges is the fact that during SXSW there is a lot of wireless interference caused by so many people deploying outdoor wireless, to include outdoor Wi-Fi. Plus, since SXSW is a temporary event, the use of licensed microwave is not feasible and unlicensed wireless has to be used. Frequencies ranging from millimeter-wave (60GHz), unlicensed 24GHz point to point microwave, and unlicensed 5.3GHz and 5.8GHz wireless radios are used. For the Wi-Fi at some of the events, wireless Wi-Fi arrays are used to deploy high density wireless communications (see “AO Wireless Deploys Xirrus Arrays at SXSW for High-Density Wireless”). SXSW doesn’t provide Wi-Fi at all the events but at some of the major ones they do in order to make sure the end user experience is enhanced. There is just too many venues to put Wi-Fi at all of them. By using wireless backhaul, both point to point wireless bridges and point to multipoint wireless Ethernet bridges, wireless connectivity is deployed to venues and events that can be in buildings or out in the middle of a field or parking lot. Broadband is made available for production, point of sale systems, ticketing systems, exhibit interaction, and most of all an enhanced attendee experience. Wireless backhaul used for the core network distribution and last mile wireless used to provide bandwidth to special event venues gives SXSW a lot of flexibility and the ability to provide Wi-Fi to attendees. Once the event is over the equipment will be removed as if it was never there. As a country we have relied on fiber communications as our primary means of wide area network connectivity. Fiber though is extremely expensive to provision due to right away access, permitting, construction, labor, and cost of material. Meanwhile a lot of other countries have leap frogged the USA by deploying fixed wireless microwave communications. Many countries around the world are deploying wireless bridge microwave backhaul as their primary backbone telecommunications network. The costs of deploying a point to point wireless bridge can have a ROI of less than three months compared to even leasing fiber that is pre-existing. With advancements in technology and newer regulation from the FCC, wireless Ethernet bridge systems can deliver over GigE (more than 1Gbps full duplex) throughput. Equivalent to that of fiber. A fixed wireless microwave link can go upwards of 50 miles. If proper wireless system design is done, a fixed wireless Ethernet bridge can provide a predictable reliability of 99.999% uptime. That's less than 5 minutes of predictable outage a year. Most people don't think about the fiber once it leaves their building or know the path it takes. 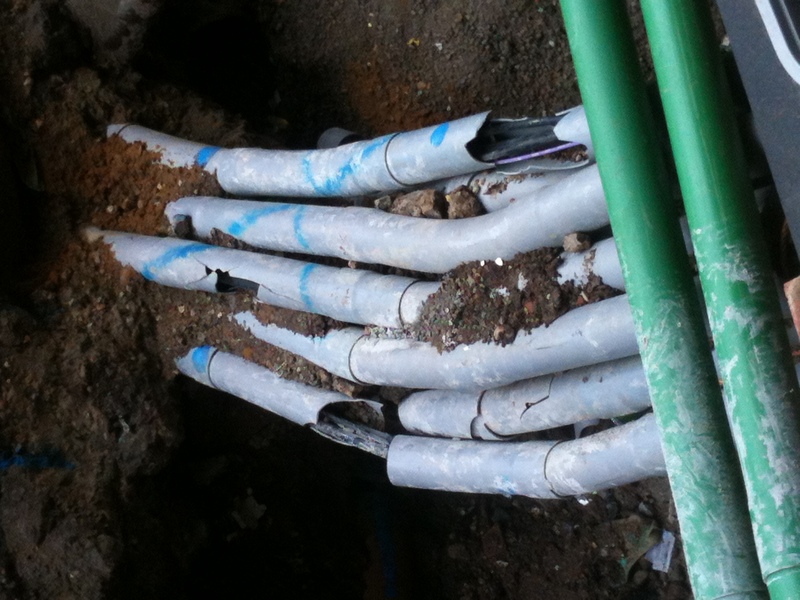 Fiber in urban areas runs inside sewer lines, underground conduits, and aerial on phone and light poles. In rural areas fiber mostly runs aerial along telephone and electric poles. Ever drive down a road and see a bunch of wood telephone poles leaning from side to side? Well that might just be the fiber your network is running on. Ever question how long it takes for a telecommunications company to do a truck roll to repair a cut fiber? If it's a clean break fiber can sometimes be fusion spliced back together. In most cases where a fiber pole goes down or gets ripped out by a backhoe, the fiber gets stretch and has to be replace but cutting it at two ends and a new piece fusion spliced back in. This can take hours if not days to accomplish. What would be the cost to your business if that occurred? In order to get broadband across the USA at any reasonable time frame and at realistic costs we must turn to wireless backhaul technology. Fixed wireless, using both point to point wireless bridges and point to multipoint wireless (LTE and WiMax) can help expand our wide area network reach with carrier grade performance and reliability. LTE as a technology is primarily for the mobile providers and operates in licensed 700/800 MHz and 1700/1900 MHz in the United States. Other frequencies can be used internationally. LTE is typically not a wireless communication solution for enterprise and commercial end users. Other technologies, such as WiMax, point to point wireless, and point to multipoint wireless Ethernet bridges are readily available to non-mobile operates for their wireless communication needs. Although, there has been an increased opportunity for LTE for other non-mobile applications such as, Smart Grid and SCADA applications for water, gas, and electrical utilities. In this case LTE is used for both mobility and fixed wireless applications. Utilities have the opportunity to acquire licensed wireless frequencies from the FCC and third party owners of spectrum (typically in the 700MHz bands). LTE can provide coverage areas in a macro cell of greater than 20+ miles. Ideal wireless communication coverage areas can be up to 11 miles with good coverage. 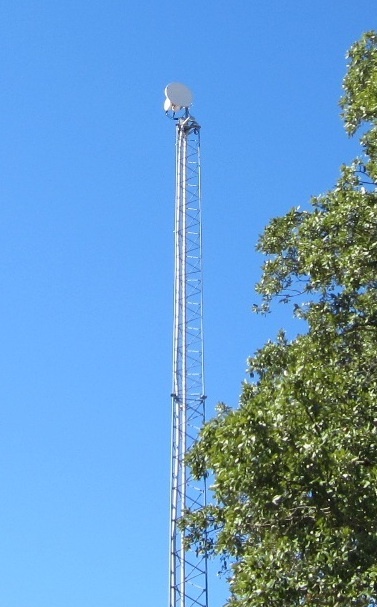 LTE sites are typically on communication towers that are spaced out geographically. These sites can be connected either via fiber or by using point to point wireless bridges, like licensed microwave backhaul. To avoid wireless interference it is recommended that point to point wireless backhaul be done with licensed wireless bridges and not unlicensed wireless point to point bridges. Wireless point to point links can provide up to GigE full duplex capacity. Because of the ability to use lower frequency bands LTE offers great coverage areas. It also protects an organzations investment by allowing for future upgrades and changes. WiMax also offeres similar coverage capability and wireless backhaul bandwidth. Both technologies offer great solutions for wireless backhaul for both mobile and fixed wireless communication applications. Even though it is truly a wireless communication standard derived for use by mobile phone porivders, other applications needing wireless broadband connectivity can benifit for the emerging tehnology. Licensed point to point wireless bridge systems are now becoming more of the norm rather than the exception. Historically, everyone turned to fiber as their primary choice for point to point data connectivity. Now with the recent changes to FCC regulations on point to point microwave, also referred to as “ptp wireless”, the opportunity to create high-speed bandwidth wireless point to point connections are easier than ever. Point to point wireless backhaul, often referred to as fixed wireless backhaul or wireless Ethernet bridges, is a great solution for creating network connectivity between locations. Wireless point to point can be used as primary or redundant wireless networks. Wireless backhaul can be used for establishing data and voice network connections from building to building, communication tower to communication tower, field locations to a network presence, connecting network fiber segments, or last mile connections, etc. Point to point wireless Ethernet bridges can also be used for connecting devices on to networks, like IP video cameras, SCADA devices, etc. Licensed point to point wireless backhaul is far easier and cheaper to deploy than fiber (See “Wireless Backhaul Makes Financial Sense”). Costs of running fiber can be upwards of $100K to $1M a mile. Point to point broadband wireless, especially point to point licensed wireless networks can now compete with fiber, not only in price per Mbps, but in performance and reliability. Plus there are many advantages of owning a private network, like security, support, and reliability. Today licensed point to point microwave radios can provide interference free GigE full duplex connectivity at 99.999% predictable reliability, and with <2ms latency. Multiple point to point microwave radios can be installed together and configured for even higher bandwidth, while providing compete failover redundancy, using 2+0, 3+0, and 4+0 configurations. Links upwards of 30+ miles can be achieved. Even further distances can be installed using a wireless repeater from a tall building roof top or communication tower. The one disadvantage of point to point wireless bridge systems is the need for line-of-sight from antenna to antenna (aka “LOS”). This can be an issue with low lying buildings and trees. In those cases using a communication tower for a wireless repeater can solve the issue in many cases. Communication towers are all over the place. There are many publicly traded companies that offer lease space for point to point microwave antennas. If there is the ability to find land right use communication towers are relatively inexpensive to have installed. Point to point wireless backhaul has a rapid ROI (typically less than 6 months with no reoccurring costs). Adding a tower into the solutions may only add 3 to 4 months until the CAPEX ROI is achieved. Free standing towers at 100ft in height can be installed from $65,000 to $85,000. That is not much money when you look at the big picture. Many countries around the world have leapfrogged the United States when it comes to wireless backhaul and taking advantage of wireless bandwidth. Here we have relied on fiber as the top pick for broadband, but the cost per mile and the issues with permitting and right of way access present an ongoing challenge, especially in rural America. Using point to point wireless bridges can expand the reach of high broadband bandwidth where fiber is a challenge. Whether a private organization, an agricultural group, government agency, utility, healthcare organization, or education facility point to point licensed wireless maybe a perfect alternative to fiber or lease lines.